I LOVE photos. Pretty obsessed actually! I’m constantly snapping pictures of anything and everything I see. 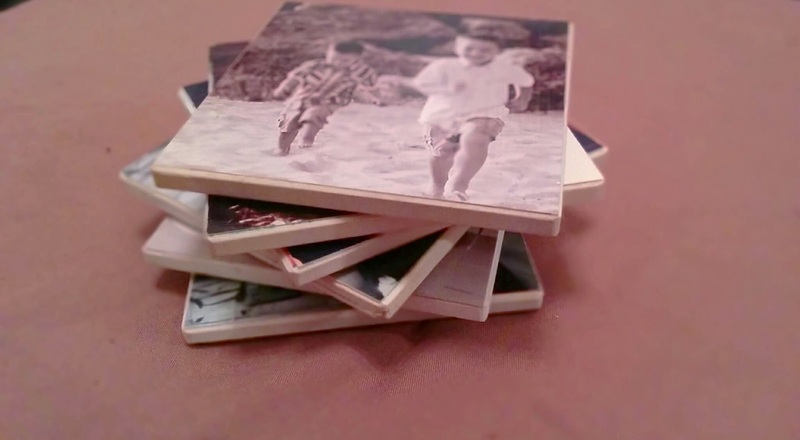 My absolute favorite gifts to give (and receive for that matter) are photo-inspired pieces, which is why this year for the holidays, I’m making handmade photo coasters for all of my family and friends! They’re easy, fun and inexpensive to make, plus they are adorable, useful and long lasting. 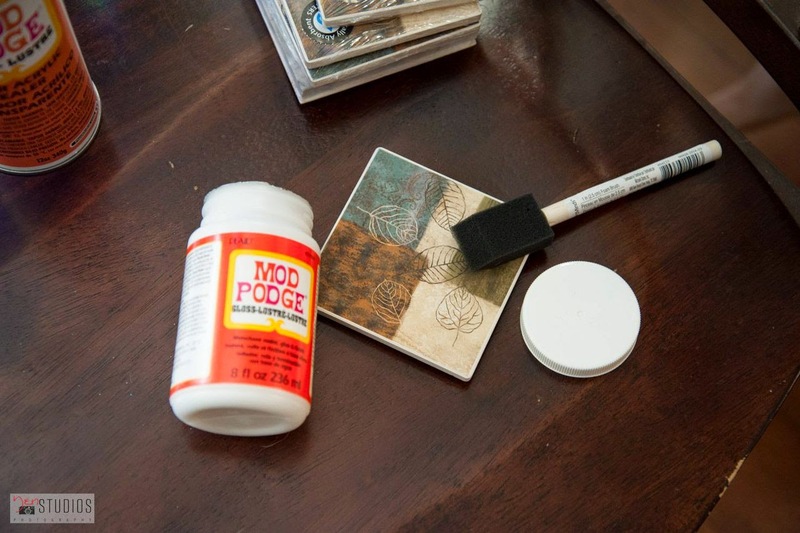 Use the foam brush to apply a thin layer of Mod Podge Gloss-Luster onto the top of the coaster (or tile) spreading it all the way to the edges. Be sure to move the brush up and down on this first layer and allow it to sit and dry for 10-15 minutes. 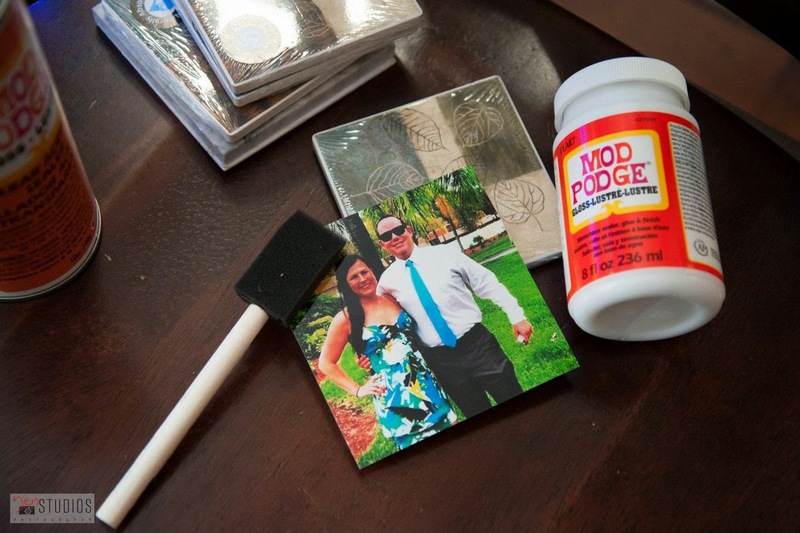 Once dry, apply a second layer of Mod Podge Gloss-Luster, this time moving your brush from left to right. Place your selected photo (I chose to go with B&W and sepia tones) on the wet Mod Podged coaster and let it dry for about 5 minutes. 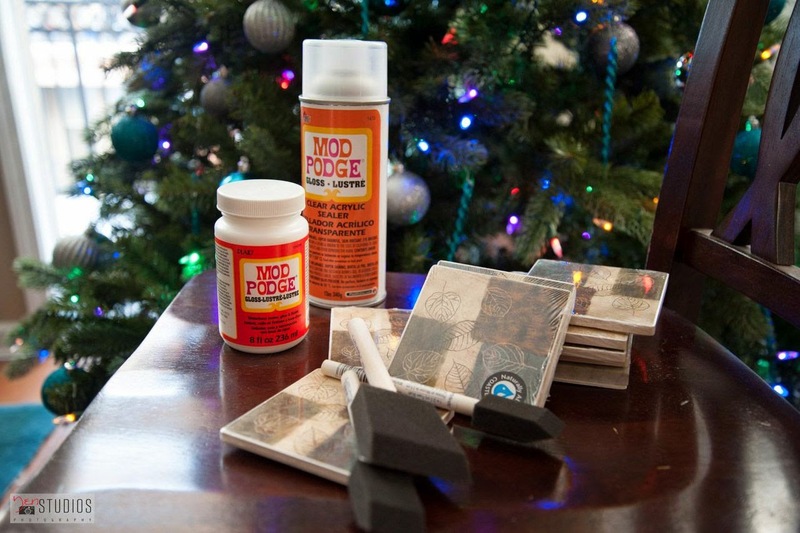 Proceed to apply 2 more coats of Mod Podge (left to right, then up and down) on top of the photo, allowing 15 minutes to dry between each coat. 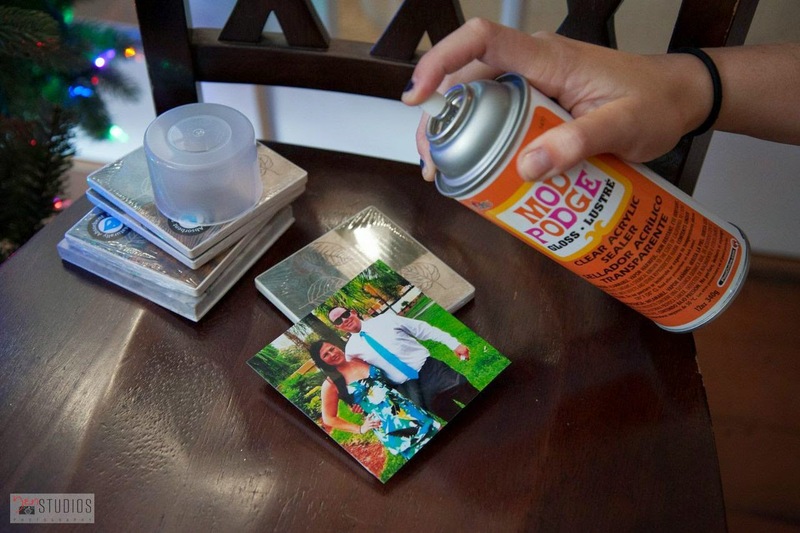 Put the finishing touches on the coasters by spraying them with the Acrylic Sealant to make them not only shiny, but also waterproof. Allow to thoroughly dry before stacking or wrapping. Important side note: Allow a full overnight dry (or 2 days) to ensure they don’t stick together when stacked.